Ramblin' Man: Elliot's tales of his musical career have the charm of true-to-life American folklore. I'M REALLY A SAILOR at heart," musician Ramblin' Jack Elliot insists laconically, adding, "It's not so evident in my picking and singing. I sing more cowboy and landlubber stuff. I've been turned off by the people who sing seafaring songs, by all the 'Yo, ho, swash' stuff," he continues. "I never believed sailors would sing that way, and I never wanted to get mixed up in that genre." Elliot has willingly interrupted a session of sanding and painting his beloved schooner, "a 49-year-old racing dinghy," to talk about his nearly 50 years of music-making, but not without recalling fondly that "I had the same kind of a boat that I have now when I was a kid." That was back in Brooklyn, where "I was originally being trained to be an officer in the merchant marine" by a retired seaman who lived next door, Elliot says. But he never cared much for city life, and ran away to join the rodeo at the age of 14. "I thought I was destined to be a cowboy," he recalls. But after working for three months at the less-than-princely wage of "two dollars a day with no food thrown in," he packed it in and went back home to finish high school. "It wasn't the broncos and the bulls that tired me out," he grins, "it was the food. Two dollars a day wasn't enough to feed a growing boy." But Elliot's rodeo adventures gave him firsthand exposure to authentic cowboy songs, sung by genuine cowboys, and even back in the city he was hooked. He picked up a guitar--an instrument that had not held much interest for him before--learned how to play a handful of songs, and soon began performing. In the early '50s, he hooked up with folk legend Woody Guthrie, who Elliot freely admits, "was the biggest influence on my singing and picking style." The two were frequent companions for several years, until Guthrie's declining health forced him to abandon the road. Elliot, however, has remained steadily active, recording 40 albums over the years and performing some 60 live dates annually, "maybe a little bit more since I won a Grammy a few months ago," he says modestly. That award, for Best Traditional Folk Album, was earned by The South Coast (Red House), a record he actually cut almost three years ago. Now 64, Elliot is hard at work on his next recording, learning a new studio discipline at the hands of slide-guitar ace Roy Rogers, who is producing the still-untitled set. As they meet on those infrequent days when both musicians are off the road and back at their respective Marin County homes, the sessions have been a case of working quickly when the opportunity is there. "I'm a lazy guy and never would have believed I would have worked well under pressure. Roy has imposed a new kind of work regimen on me, and it amazes me that I'm able to stand up under the pressure and come up with some good material," Elliot chuckles. "I guess that's his way of getting me going." So far, they have completed nine tracks with such musicians as folkie son Arlo Guthrie, songstress Rosalie Sorrells, the ever-Dead Bob Weir, guitarist Jerry Jeff Walker, and wild man Tom Waits, with upcoming sessions planned to jam with John Prine and Willie Nelson. They're shooting for a late spring release date. As with Elliot's extensive past catalog, the new disc will feature songs by other writers. "I've never really been a songwriter," Elliot confirms. "I've only written about five songs in my life. It galls me." 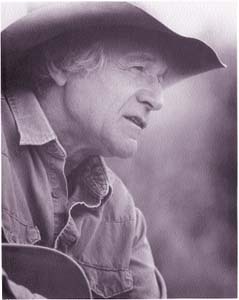 Ramblin' Jack Elliot performs on Saturday, Dec. 14, at the Spirit of Christmas Craft Faire at the Sonoma County Fairgrounds' main pavilion. 1375 Bennett Valley Road, Santa Rosa. Fair entrance is $2-$4. 575-WELL.